A backpack with a bold jungle print. Add a dash of the tropics to your day. 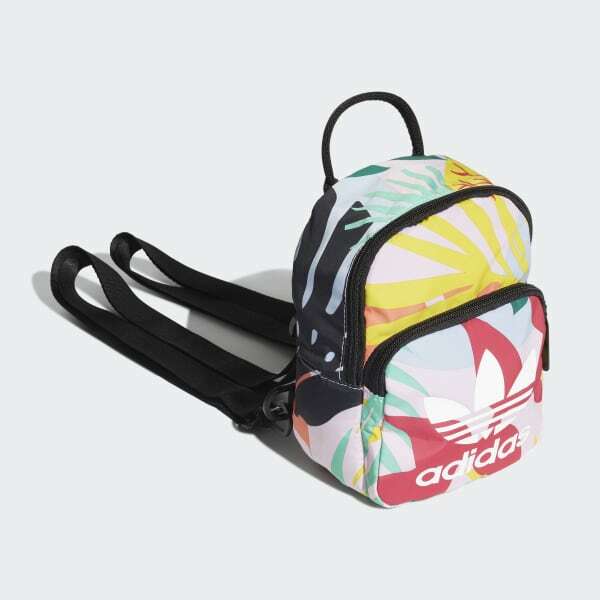 This colorful mini backpack is covered with a vivid tropical print. 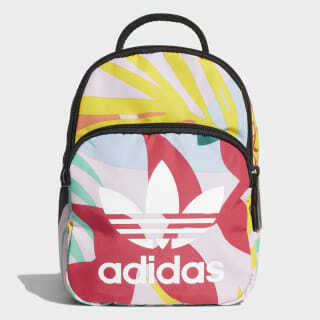 It can be worn as a backpack, or detach the straps to carry it by the handle. Dimensions: 3.5" x 6" x 8.5"